Now that you have purchased your VZ Hang® Vinyl Siding Hooks and are excited to start decorating your home, you may have already noticed that your vinyl siding might not be in the best condition. 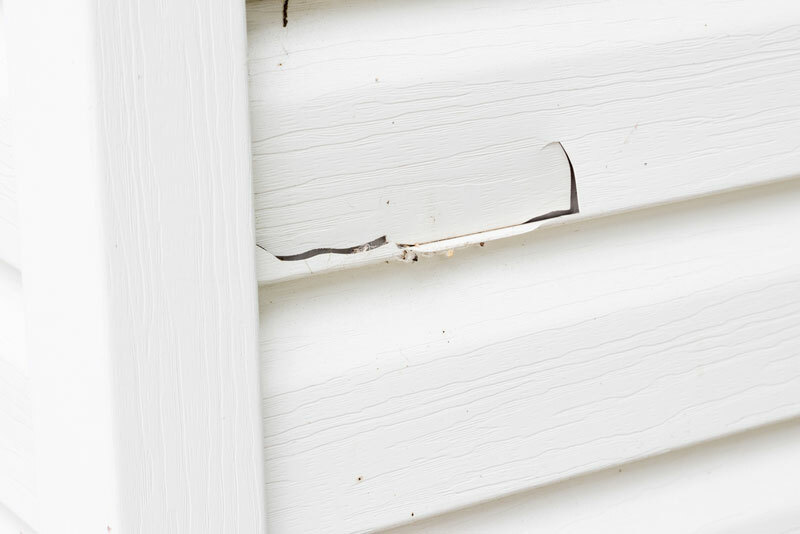 Vinyl siding damage reduces curb appeal and can lead to bigger problems down the road. Did your lawnmower throw a rock at your house and put a hole in your siding? Maybe your gas grill was a little too close to the house and melted part of your vinyl siding. Removing old fixtures can also leave nail holes and screw holes in your siding that you may think are impossible to fix. Larco Products has some great tips to prevent damage and help extend the life of your vinyl siding. Large stones, sticks and other yard debris can easily become projectiles when mowing your lawn. These objects can leave large holes, chips or cracks in your siding, allowing water, pests and other elements to get behind the vinyl. Keeping shrubbery neatly trimmed back away from your home. Unruly branches and vines can creep up into the seams of your vinyl siding and pull them apart. Preventing bushes and shrubs from touching your home’s exterior will also discourage bugs and other pests from entering and damaging the siding. It doesn’t take long for the high heat of a gas grill to melt vinyl siding. Smoke from your grill can also leave black soot on your siding and make it look dirty. Try positioning your grill several feet away from the outside wall. Quickly repair and reattach any siding that comes off the home. Wind gusts can pull a poorly secured piece vinyl siding off and take others with it. For more information and a great informational video on how to repair vinyl siding, check out the This Old House website. Larco Products is a Michigan-based company and the makers of VZ Hang® Vinyl Siding Hook line of products. Enter your email address below and get news and updates on new product releases and promotions. Find Larco Products on social media and connect with us. ©2009-2019 Larco Products LLC. All Rights Reserved.